I was super excited AND quite nervous to be on KSL studio 5. But I have a strong love and passion for creating video that I really thought it would be a fun thing to talk about and share some tips that my husband and I have learned. Video is such a beautiful thing, it can create strong emotions than photography or the written word, but that is just my opinion. We see and hear a lot about photography and many people use only that to document their family's life. We miss out on the personalities, and even facial expressions when we lean too heavily on photography. Because of technology today, it's so easy to create edited and composed videos to document family life. And it's not just for big occasions but for the small every day life. 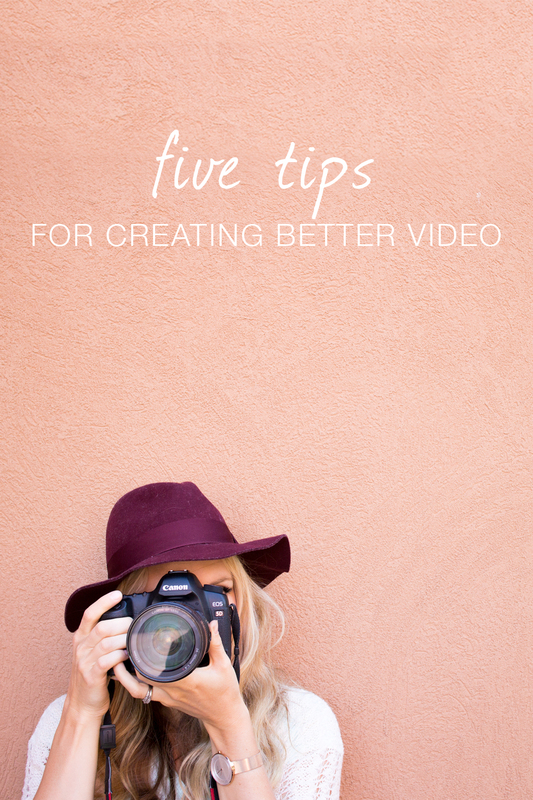 So to help overcome that intimidating task of starting a video I will go over the tips I talked about on Studio 5. This film is a collaboration with THEIT camera bags. Their bags are simply gorgeous and incredible quality. I have really loved my Black Bossi Bag! 1. Create a story and stick to a theme. So many times we don't video our children because we forget to, or we tend to think our lives are too boring (and believe me, I know, I have that tendency to think my life is boring too) However, if you specifically think of something you want to remember about your life you are more likely to get it done. ALSO, if a story doesn't come to mind with the day to day life, create an event! Create a picnic tell a story that you will want to have documented. You don't need a Hollywood- storyboard to created a film, but if you have a theme. Stick to it and it will make editing and the storyline that much easier. In this video we wanted to announce our third pregnancy. We knew we wanted to create that emotion and that theme of a tiny newborn. So we really focused in on the little extremities (little fingers, arms, toes, legs) to create that emotion of what it feels like to have little children in the home. And the excitement we feel as potential parents was a constant focus throughout the video. Because of technological advances it's so easy to edit your videos. And you don't have to go out and buy a bunch of editing software. A lot of times it's already installed in your computer. For a little bit me and my husband used iMovie the free software on our Apple computer and it works just great! We have now updated to Adobe Premiere which was a learning curve but does a whole lot more in-depth editing. It's not so much what you use for editing but what you edit. It's easy to want everything in your video (which is fine), but if you're wanting a more professional feel to your videos then the action needs to be present. The video become better as you start to leave out the 'dead' stuff and just keep the real gems. In this film our boys were at such a fun stage and said silly things, or did those melt your heart moves. Because I thought everything they said and did was cute I wanted to put every thing in the video, but I tried to get the most action based stuff. 4. The more the better. The more you video the more candids you get. And whats nice about editing, you can cut out the dead stuff till the candid moments start to happen. And just like photography you shoot the details of the scene, in video this is called B-roll. Details such as feet running, the scenery around the story, details of a face, clothes, etc. So get the B-roll just as much as you get the master shots. We wanted to tell a story about our family apple picking together, so we filmed the candid as well as the atmosphere around us. The trees, the apples, the ladders,walking up a ladder, filming between trees to show the dense amount of trees. We filmed our Apple picking outing together as a family. It was that time of year when the air was crisp and a new season was arriving. We did a lot of B-roll of the gorgeous orchard we were in and more candid/B-roll of each of trying to get the yummy apples. 5. Don't put it off. It doesn't matter the camera you have, just start shooting. You can have a smart phone and you could apply all these point into your video and the finished product will be that much better. But if your interested people are now buying DSLR camera's without knowing anything about the capabilities and guess what... all the new one's have video capabilities. Now get out there and tell your story! If you are interested in seeing more of our videos you can see more here. Also if you liked this post. It would mean a lot if you pinned it! Thank you! I love your camera bag! Shelby that was amazing. You are so talented. Is there anything you can't do. All I can say is wow! Random question...does your camera auto focus when you're in video mode or do you focus it yourself? I have to focus mine manually and I need a lot more practice! Great interview--you did very well! And I love your tips, they are so helpful. Shelby, I am inspired. I have a question about music. When do you consider it? Do you ever have a song picked out and in mind before you start videoing? Or do you always choose it afterward? The video matches the music very well! Lindsay I'm so glad it got you inspired! I feel like songs make a huge difference and usually I will hear a song that i move e i can picture a video that goes along with it. However, if I do a video last minute I will just pick it after I've videod and try to think about what kind of mood and emotion I'm going for. Does that help?! AWESOME! Thank you for answering my question. I've been so inspired by this, you guys are amazing!